Don’t want to travel this summer? You don’t have to! Here are 15 ideas for a great summer staycation, right in your home town. 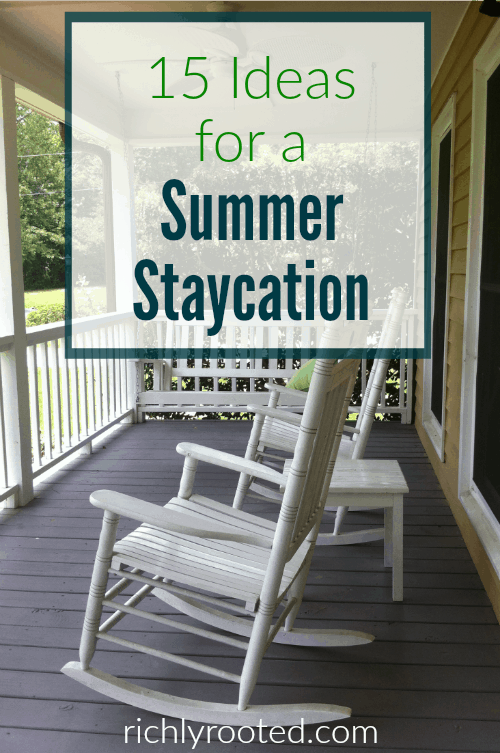 These ideas for a family staycation are fun and frugal…and will help you avoid the stress of vacation travel. Most of us are far too busy to explore what our little corner of the world has to offer. We zigzag through town to get to commitments and activities, rarely taking time to discover what’s off our own beaten path. When we’re at home, we have infinite tasks and to-do lists to work through. We squeeze leisure time into the cracks in our day, hoping it will be enough to fix our frazzled lives and give us the glue to stick with our hectic schedules for another week. As summer break approaches on the calendar, we’re desperate to get out of town and leave our busyness behind. Unfortunately, travel isn’t always possible. Preparing for a vacation can be a cause for stress in itself, and trips always put a strain on the budget. The good news is, you don’t have to leave home to enjoy a relaxing vacation and reconnect with your family. 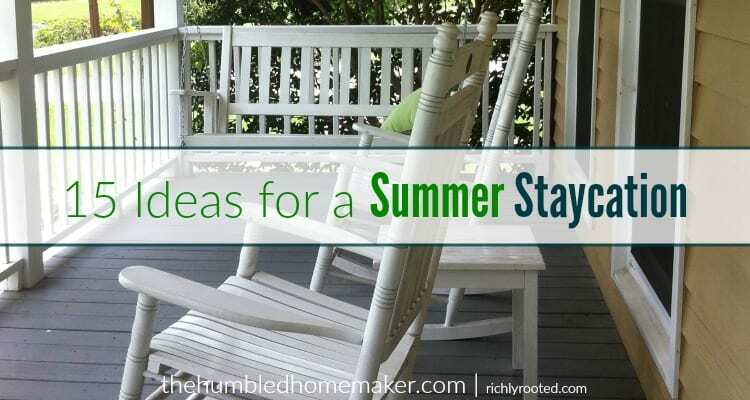 Click over to The Humbled Homemaker to read the rest of this post and get my 15 best ideas for a summer staycation!